Science is interesting if taught in the right way. 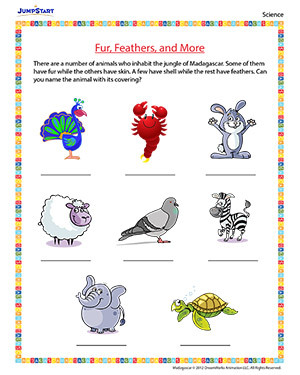 Here is a science worksheet that requires kids to just match a few animals to their related pictures and solve the fun science worksheet. After solving this exciting and colorful printable, do have a look at our other worksheets themed like Madagascar just like this one!